Senior dogs have always held a special place in the hearts of our Board Members. In 2017, with the help of a specially designated gift from the late Ronnie Hadorn, PetConnect Rescue is excited that we were able to bring a long-time dream into reality by launching our Senior Dog Program. Why is there a need to dedicate a program to seniors? Older dogs often go from a comfortable home situation into a noisy shelter through no fault of their own. Sometimes, their owners get sick and can no longer care for them. Other times, the owners simply can’t afford the increased expenses that can come with a senior dog. In many cases, sadly, families think that their senior dogs are simply too old, and so, they abandon them. These situations are heartbreaking, and they place senior dog at especially high-risk for euthanasia when surrendered to a shelter. Most will not make it out alive. We know that every dog, no matter what the age, has plenty of love to offer and deserves love in return. We make sure that our senior dogs are placed in special, senior-focused foster homes where they receive plenty of love, attention, and room to roam. We keep these dogs in our care no matter how long it may take to find them their new families. Our senior dogs receive the same medical care that any PetConnect Rescue animal would receive from our highly qualified vet partners to prepare them for adoption. We want to make sure that they are safe, healthy, and never feel discarded again. Please consider adopting a senior today. Help us help them by giving them the opportunity to live out their lives with dignity and respect and in a home where they will be truly cherished. Please click the button below to see our list of available senior dogs. Your donation will help offset the costs associated with a senior dog’s care. 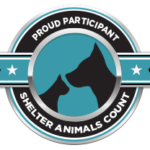 Any extra funds raised will be used to help other PetConnect Rescue animals.